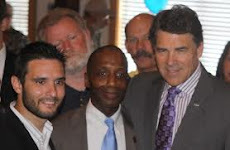 All Conservative State Board of Education members are under attack by liberals and moderates in this Texas Primary Election 2012. We MUST fight back. The following article is just one example of the deception and attacks that conservative SBOE members are facing. Rita Ashley, who is running as a Republican for State Board of Education against Super Conservative SBOE member David Bradley, released a statement saying that the reason she voted in recent Democrat Primary elections is because she "voted for Allan Ritter who was a Conservative D and is now an R - he had a contested primary and there were no contested races in the R Primary." I did a little investigating and discovered that her statement is completely false. The truth is that Allan Ritter ran unopposed in the 2006 Democrat Primary Election. Rita Ashley said she only voted Democrat because "conservative" Democrat Allan Ritter had a contested race and there were no contested Republican races but this is factually incorrect. Rita Ashley LIED. Rita Ashley simply just wanted to vote Democrat and now she is telling people false information to try to paint herself as a conservative Republican. Rita Ashley has also lied about where she lives. Rita Ashley has a nearly 1 Million dollar condo in Austin, TX. This condo has a homestead exemption which means it is Ashley's main residence. Rita Ashley's husband works in Austin. Rita Ashley works in Austin. Up until she filed to run for office, she had her voter registration in Austin, she had her Austin address as her driver's license address and her mail is currently still forwarded to Austin. She denies living in Austin though. She claims to live in Beaumont still. The address she claims to live at is a warehouse in an industrial district in downtown Beaumont. The warehouse is not even zoned as residential so she is not even allowed to live in that warehouse! The warehouse does have a section fixed up where someone could live, but it doesn't take a genius to figure out that Rita Ashley's million dollar condo in Austin is her home where she has been living until she decided to run for SBOE. Instead of being honest with the people of SBOE District 7, Rita Ashley has chosen to lie and be deceptive. That is not a quality I want in a person in charge of the educational standards for Texas. Rita Ashley is a Moderate put up by liberals and moderate Republicans to run against Conservative Republican David Bradley. In fact, ALL Conservative SBOE members in Texas have moderates and liberals running against them. Rita Ashley has recently teamed up with the liberal group Texas Freedom Network to attack Christian Conservative David Barton and accuse him of breaking the law simply for supporting David Bradley for re-election. David Bradley is the founder of Wallbuilders and the former Texas GOP Vice Chairman. Barton is one of the most trusted and respected Conservative Republican leaders in all of Texas. He is frequently seen on the Glenn Beck and Mike Huckabee shows. Why would Rita Ashley team up with TFM to attack him? TFN is an organization that seeks to push a liberal agenda in our public education. TFN was founded by Cecile, the daughter of former Democrat Governor Ann Richards. Cecile is now the president of national Planned Parenthood. TFN supported removing our Pledge of Allegiance from public schools and they advocate for homosexual marriage. Rita Ashley is even absurdly sending out information saying that David Bradley is a liberal Democrat. This is ABSURD! There is NO dispute that David Bradley is THE MOST conservative leader on the SBOE. Liberal newspapers attack him for being so conservative. Conservative organizations praise him for being so conservative. It is universally accepted by EVERY liberal and conservative organization in Texas that David Bradley is conservative and not even close to being moderate. Bradley fought in this last term against the MANY attacks from liberals who were trying to force a liberal, anti-American agenda into Texas Public Education. Ashley tries to grab at straws and say that Bradley is for big government because Bradley thinks school districts like Beaumont ISD should be kept in check. BISD, a school, tried to build a hotel last year for crying out loud! Talk about waste at a time when school districts are saying they do not have enough money for education. They are an out of control school district and the SBOE is the Constitutionally elected group of people who are supposed to oversee education in Texas. Bradley is of course AGAINST, and has fought against Obama's federal big government intrusion into Texas public education. Rita Ashley is being Supported by Liberals and Moderate Republicans. It is interesting that no conservatives or conservative organizations have come out supporting Rita Ashley. On the other hand, Rita Ashley is endorsed on her website by State Rep Allan Ritter, a moderate Republican who even voted against defunding planned parenthood and got only a 28% conservative rating by the Texas Eagle Forum. She is also endorsed on her website by SBOE member Bod Craig who is a liberal SBOE member who has fought against conservative Christian values and has voted with Democrats over 64% of the time on the SBOE. A big reason why Rita Ashley was put up to run against David Bradley is because David Bradley and the conservative majority of the SBOE kept the Permanent School Fund from being raided and depleted. The Permanent School Fund is money that the State of Texas has to help the State pay for education. The SBOE uses this fund wisely so that there is still money in the account for all future years and growth. Many people wanted this fund to be raided last year. The conservative members of the SBOE stood against attempts to deplete this fund and protected it for future years while still giving a significant amount to education last year. David Bradley is a Super Conservative. He is Endorsed by all top Conservative Republicans and Conservative Organizations. These endorsements include Texas Alliance for Life, Texas Conservative Digest, David Barton, Texas Republican Assembly, Texas Right to Life, Young Conservatives of Texas, Texas Home School Coalition. He is endorsed by 4 conservative past and former SBOE chairmen and also endorsed by Republican Party of Texas past State Chairmen George W. Strake, Tom Pauken, Tina Benkiser and Cathie Adams who is also the Chairman of the Texas Eagle Forum. On top of fighting against liberal attacks on conservative values in our education standards, Bradley was part of implementing new standards/tests that are now moving our Texas public school teachers into the teaching of phonics, grammar, usage, correct spelling, penmanship, expository/persuasive/research writing, classic literature, informational text; having to look at the strengths AND WEAKNESSES of evolution; automaticity of math facts (addition, subtraction, multiplication, division), no calculators in grades K-5; an emphasis on reading the primary documents such as the Constitution, Declaration of Independence, Bill of Rights, the study of heroes and heroines of our state/nation/world, and American exceptionalism. Rita Ashley does not represent conservative values, is much more closely associated with the Democrats, and has such disdain for the intellectual level of the voters that she thinks she can fool them. Not so. David Bradley is a proven conservative member of the Texas State Board of Education. David Bradley's District 7 State Board of Education now represents Brazoria, Chambers, Fort Bend, Galveston, Hardin (Lumberton, TX), Jasper, Jefferson, Liberty, Newton, Orange, Sabine, San Augustine and Tyler Counties.